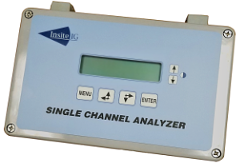 Dual Channel and Multi-Channel Analyzers are also available. 1. What is the total cost of ownership for 5 years or 10 years? The InsiteIG sensor has no consumables to replace periodically. Almost all other Optical DO sensors require replacing sensor caps yearly at a cost over $100.00 per year. 3. Can the manufacturer supply references with at least 5 years of experience with the sensor? InsiteIG has multiple references with 5 to 7+ years using our sensor. 4. What is the sensor warranty? InsiteIG offers a 5 year sensor warranty. No, InsiteIG is happy to provide technical support over the phone with no strings attached. Due to the straight forward setup and operation of InsiteIG systems, our customers find that technical support is seldom needed.